Diet It Up: Behold, The Power of Steam! Behold, The Power of Steam! En Papillote (French: "in parchment") is a method of cooking in which the food is put into a folded pouch or parcel and then baked. I know this isn’t a new or innovative cooking style, but it’s new to me and I wanted to share the results. I thought a flaky, white fish would work best, so I picked up a filet of cod. It’s a sturdy fish that doesn’t disintegrate or turn to smoosh when it’s cooked. A relatively low fat content makes it a healthy choice. To top it off, it was on sale. Bingo! The French might use parchment for their pouch, but I opted for good old-fashioned aluminum foil. I tore off a huge sheet and started building my dish. 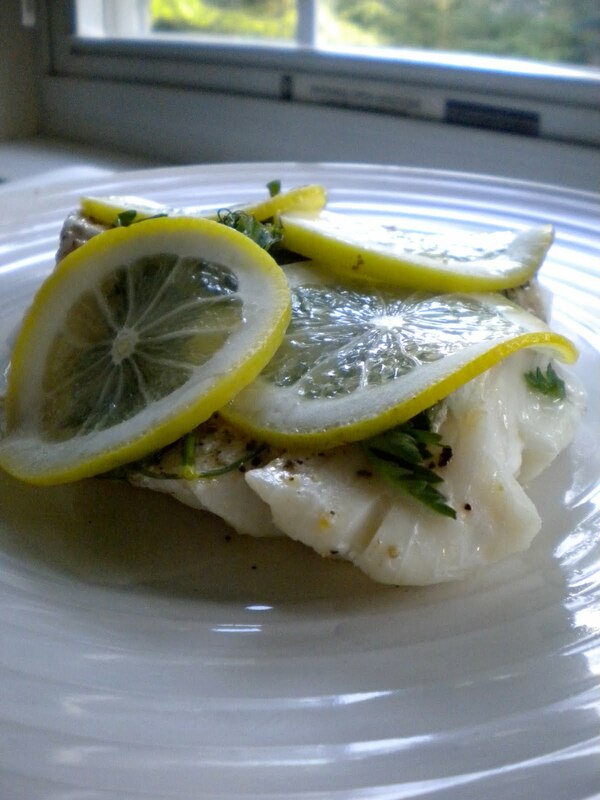 I seasoned the fish with salt and pepper, topped it with dill and parsley leaves, then a few thin slices of lemon. After drizzling with olive oil, the meal was ready for its wrap treatment. Seal the foil pouch tightly on all edges leaving a little cushion of air for steam to develop. Place your neatly wrapped pouch on a baking sheet with a little water in the pan. Cook on 400 degrees for 12-15 minutes; easy squeasy. I thought this was going to be bland. How can something that cooks so quickly have time to develop any real flavor? I was wrong. 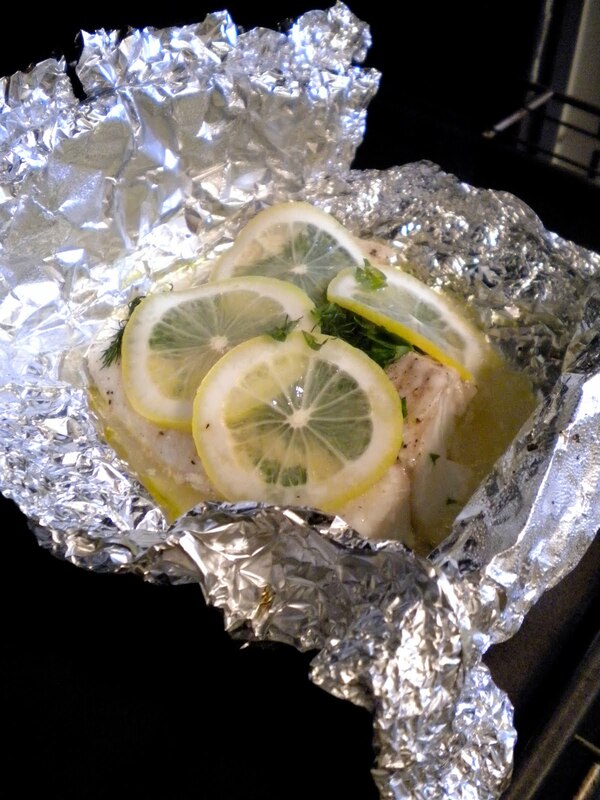 The fish steams in the pouch and stays super moist. The lemon and herb flavors really came through. I loved it. Plus, no butter, no breading, no complicated preparation, just a really tasty piece of fish. You can easily swap out the ingredients and try different combinations to keep it interesting. I borrowed a grilling cookbook from the library (I know this is insufferably nerdy, but whatever!) 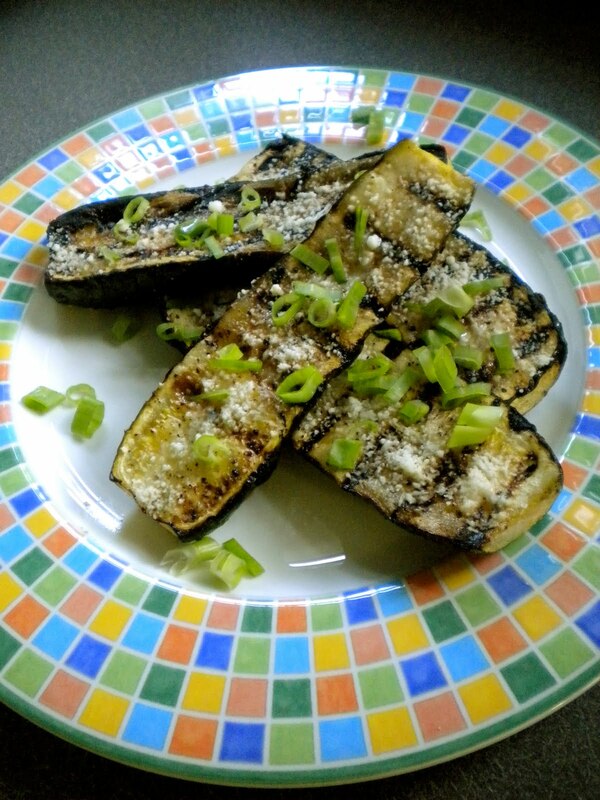 and found a recipe for marinated and grilled zucchini. Well, it sounded delicious. 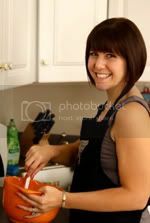 I spend half an hour putting together a marinade that called for a dozen different ingredients, let it sit in the fridge for an hour as instructed, but after cooking, I didn’t taste ANY of those complicated steps. 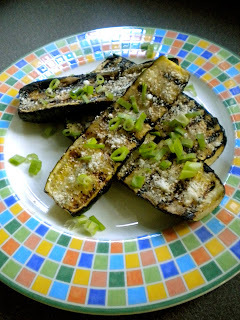 The grilled flavor was great and I topped the zucchini with some parmesan cheese and chopped scallions. Those two ingredients really added something. Skip the complicated marinade. Cut the zucchini in half, brush with olive oil and season with salt and pepper. Grill about 5 minutes on each side or until tender. Sprinkle with grated parmesan cheese and chopped scallions. An easy side dish for an easy dinner. Hey sweets! Marie B and I are going to try this one this week! Should we just follow the directions in the blog or is there a link missing?